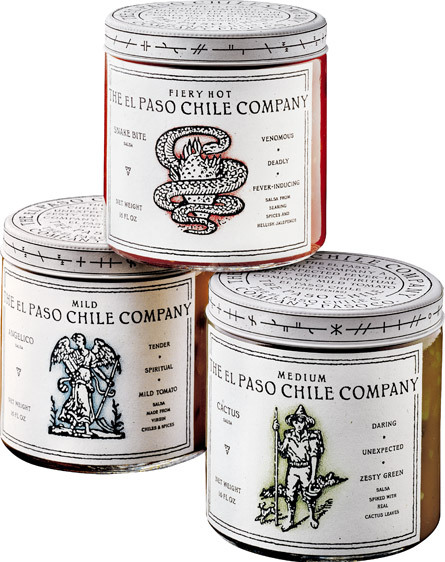 charles s. anderson design co. | El Paso Chili Co.
W. Park Kerr, president of El Paso Chile Co., was the most eccentric client we've ever run across. 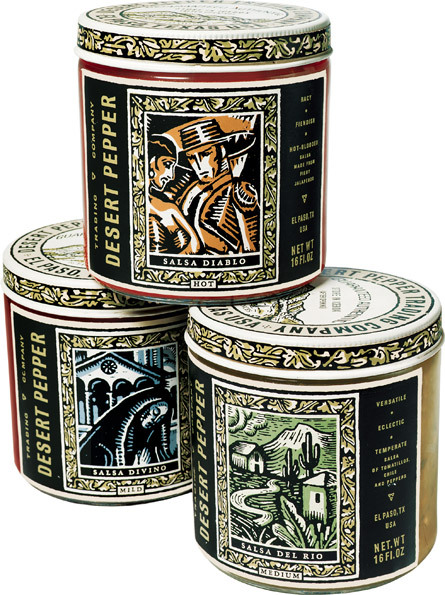 As part of our research, he requested we fly down to Texas and take a donkey ride through the desert to get the authentic feel of the Southwest. 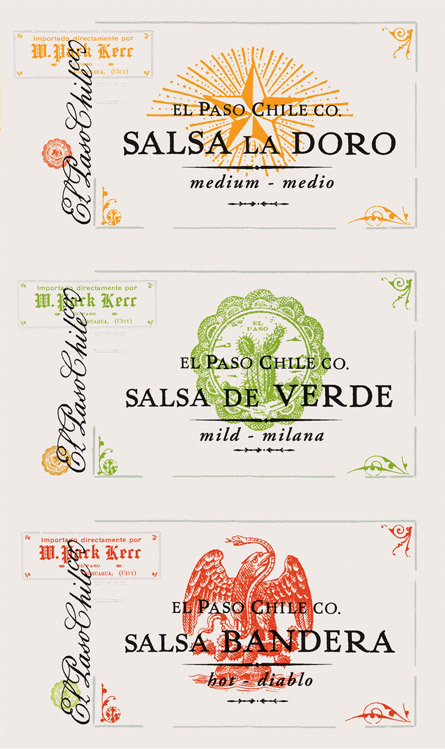 In addition to packaging for their line of salsas, we also worked on naming. 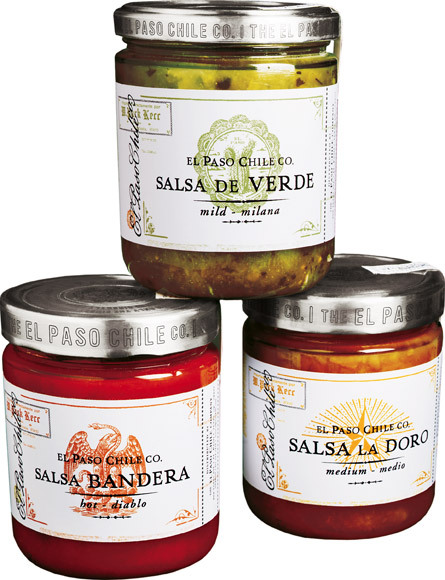 After rejecting names like "Gasping Gringo" and "Exploding Armadillo," we finally settled on Salsa Del Rio, Salsa Diablo and Salsa Divino. 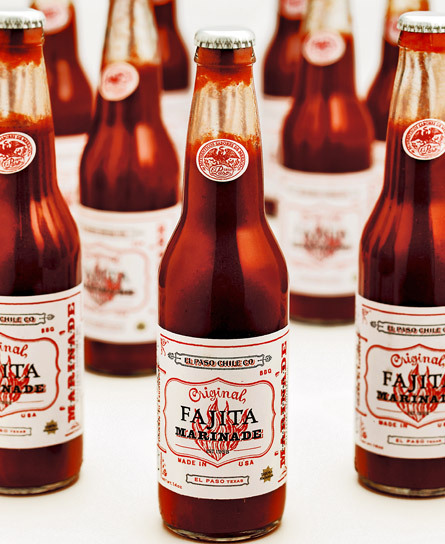 To convey authenticity, for his new fajita marinade, we packaged it in Mexican beer bottles with label art built from pieces of printed scrap unearthed from flea markets in Mexico City.